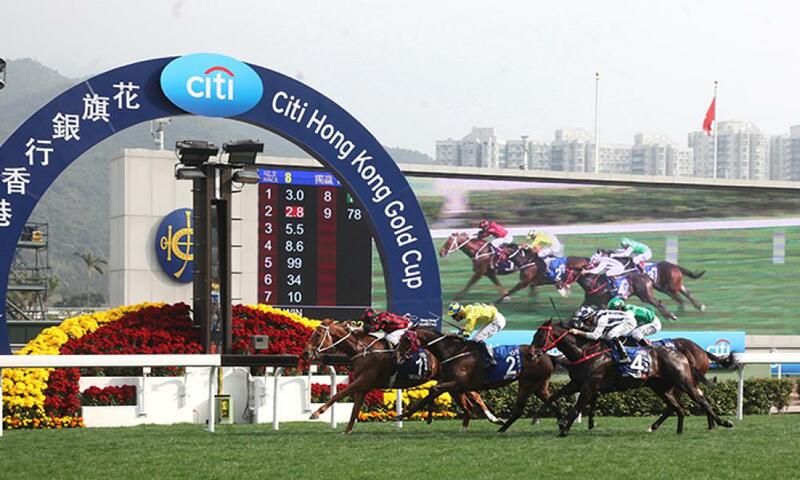 Tattersalls Ireland September Yearling Sale graduate Time Warp smashed the course record to win the HK$10 million Group 1 Citi Hong Kong Gold Cup on Sunday following up on his win in the Group 1 Longines Hong Kong Cup in December. Formerly trained in Great Britain by Sir Mark Prescott where he enjoyed five consecutive successes, four as a two-year-old and as a three-year-old in the Listed Criterium de l'Ouest, the son of the late Archipenko led from the off under his regular rider Zac Purton and set a new track record finishing inside two minutes (1m 59.97s.) over 2,000 meters. "That was quite some performance, wasn't it?" Purton said of the 2/1 second-favourite. "We've been racing here for a long time now and there's been a lot of good horses grace this track so it's a credit to the horse." Time Warp was sold at the 2014 September Yearling Sale by Staffordstown to Jeremy Brummitt for €37,000. Nominations are now being taken for the 2018 September Yearling Sale and Part II and close on 23 March 2018. Nominate online at www.tattersalls.ie.